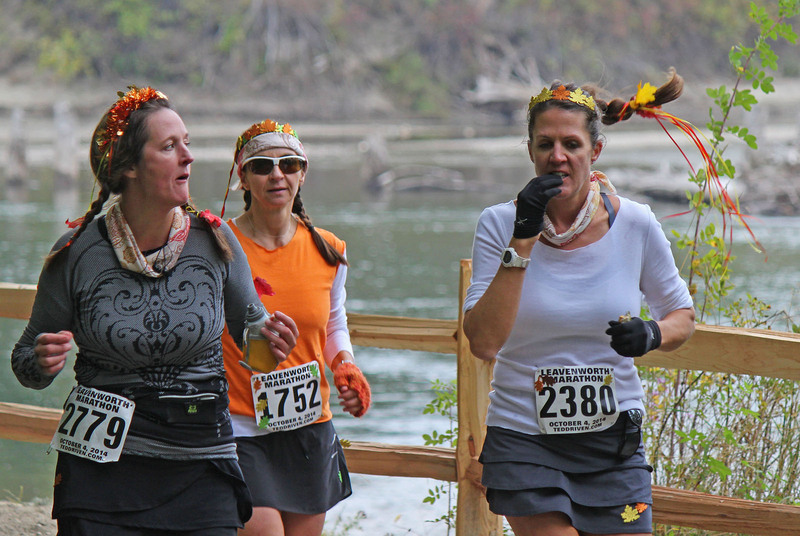 Three runners in Saturday's Leavenworth Oktoberfest Marathon and Half-Marathon traverse the Waterfront Park area along the Wenatchee River. LEAVENWORTH — Micah Adams of Pullman set a blistering pace to easily capture Saturday’s Leavenworth Oktoberfest Marathon in 2 hours, 38 minutes and 49 seconds. Adams beat Dave Stephens by nearly five minutes. Adams’ winning time was 20 minutes faster than last year’s winning time posted by Quincy’s John Heikkila. In the women’s marathon, Laura Levezo also had little trouble, finishing in 3:11:43. Coming in second was Katherine Wyatt in 3:18:32. 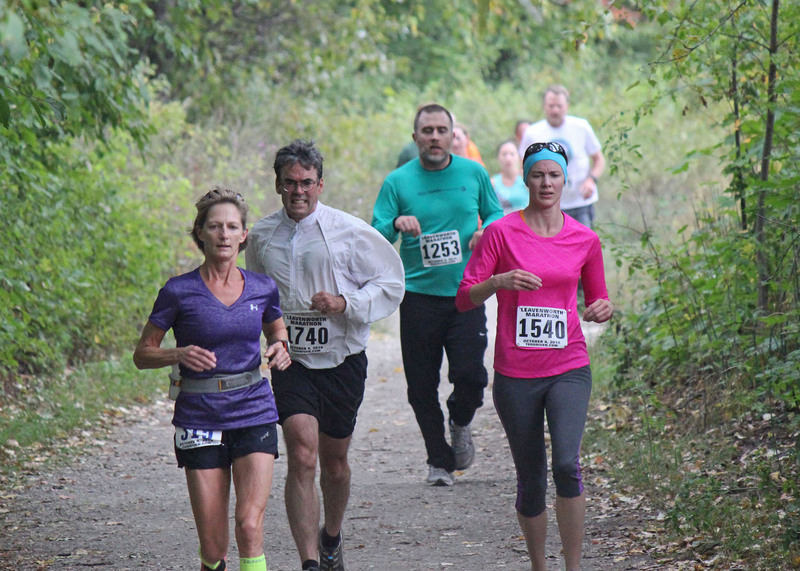 Through the woods: Marathoners and half-marathoners have about 7 miles to go in Leavenworth's Waterfront Park. Other winners on the day included Christopher Anderson in the men’s half-marathon (time of 1:14:42) and Seattle’s Ann Pedack in the women’s half-marathon (1:29:04). In the half-marathon, two former Seattle Sounders — Nate Jaqua and Roger Levesque — finished fourth and fifth in the men’s race. The Leavenworth Oktoberfest race, operated by TedDriven of Wenatchee, sold out with about 2,250 people entered. 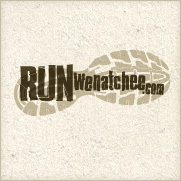 It is the largest running race in the Wenatchee Valley. The second largest is the Turkey on the Run 12K and 5K. 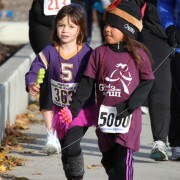 That run attracts about 900 runners on Thanksgiving Day. Lynda Finegold, a member of TedDriven, described the event, which celebrated its 10th anniversary on Saturday, as the most successful Leavenworth Marathon to date. The weather also cooperated. The high on Saturday was expected to reach about 80 degrees but cloud cover kept temperatures down. “It was great for the runners,” Finegold said. 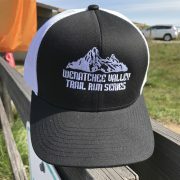 The 26.2-mile marathon began on Icicle Road near the Johnny Creek Campground. The 13.1-mile half-marathon started at the Leavenworth Fish Hatchery. Both races finished at the fish hatchery. On Monday, TedDriven officials announced next year Leavenworth Marathon and Half-Marathon will be held on Oct. 3.